What is a pre paid debit card? Both consumers and businesses alike are turning to non-cash forms of payments, including debit cards, credit cards, ACH transactions, and pre paid debit cards. According to the 2016 Federal Reserve Payment Study, which is conducted every three years, an estimated 144 billion noncash transactions with a value of $178 trillion were made in 2015. Debit cards, including pre paid debit cards, accounted for $2.56 trillion in transactions out of a total of 69.5 billion. A pre paid debit card is a card that businesses and consumers are able to purchase. They can decide how much money to load onto the card. The limit on the card will be the amount of money that is loaded onto it, and the card can be refilled as needed. How can a pre paid debit card help my business? Also known as pre paid credit cards, pre paid debit cards can help your business in several ways. Since you choose how much money to place on each card, your employees cannot spend any more than what is available. Pre paid credit cards can help you to keep a tight control over how much your employees are able to spend. Using pre paid credit cards at your company can make tracking the expenditures by each employee much simpler. Your employees won’t be able to run up balances on your credit cards or to make cash withdrawals from the pre paid credit cards that you have given to them. Why is a pre paid debit card so important? Many small companies do not have internal accounting departments and must institute expense management systems and manage their own expenses without help. Business owners are responsible for all aspects of their businesses and may not have adequate time to effectively manage their expenses. by using pre paid debit cards, business owners can help to keep track of their employee expenses. The employees will be limited to the amounts that are on their cards and will not be able to spend more money without the business owner’s advanced knowledge and approval. 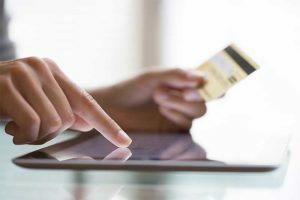 This can help you to prevent unauthorized purchases that could otherwise harm your bottom line. How can pre paid credit cards help reduce spending? A credit card that is pre paid can help to reduce the spending at your company. You can decide how much money to allocate to the various business expense categories that your company has. You can then place money on different cards that are allocated for different types of expenses. 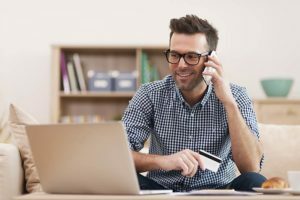 By using this method of payments and purchases, you can keep a tight control on the spending at your company and make certain that it remains within your budget. When you need to do so, you can load more funds onto the cards and give them to your employees to use. Pre paid cards can also help you to eliminate the need to have your employees buy things with their own money. This can help you to end reimbursements and to prevent fraudulent reimbursement requests from your employees. A pre paid debit card is similar to a debit card with some important differences. With a pre paid card, you purchase the cards and then load them with funds. The cards are not linked directly to your account. A debit card is linked to your checking account. When purchases are made, the cost is subtracted from your balance. Some debit cards for business are similar to cards that are pre paid. For example, the Bento for Business debit card is a type of card that allows you to decide how much money to place onto each card from your linked account. Your employees will not be able to spend more than what you have allowed them to spend with their cards or use them to access money in your account. Why is it a good idea to have good tracking for employee expenses? Expense management is vital for the success of businesses. If you do not have a strong expense policy and tracking mechanisms in place, your expenses can quickly swell and hurt your profitability. Employees might purchase things for your business that are more expensive than what you want to spend. They might also claim that personal purchases were made for the business. When you track employee expenses carefully, you can keep your costs from ballooning. You can also prevent your employees from making fraudulent purchases or stealing money from your company in other ways. Who uses pre paid cards and why? Both consumers and businesses use pre paid cards. Consumers may purchase cards that are pre paid to give as gifts to their friends. Some consumers also use pre paid cards as an alternative to bank accounts because they can be used to purchase items wherever credit cards are accepted. Businesses may use pre paid cards as a way to track and manage their expenses. By giving pre paid cards to their employees, they can keep their spending under control while also stopping potential fraud. How does a debit card for businesses reduce fraudulent charges and business expenses? 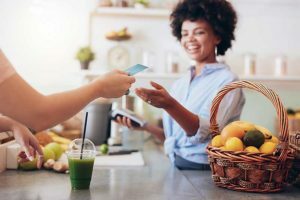 Some debit cards for business have special expense control features that allow business owners to restrict when they can be used, how much their employees can spend, and where they can be used. For example, a debit card with these types of features might be limited to pay a specific vendor only, and it may be turned off when the employees are not at work. With tight spending controls, business owners can help to reduce fraudulent charges. They can eliminate reimbursements and petty cash while also greatly limiting their employees’ access to cash. With debit cards, the spending is transparent so that you can identify misuse and handle it quickly. Where can I find a good pre paid debit card, and what should I look for? To find a good pre paid debit card, you can research different cards online. By reading reviews from other users on sites like Capterra or Trust Pilot, you can learn how the cards work in practice. 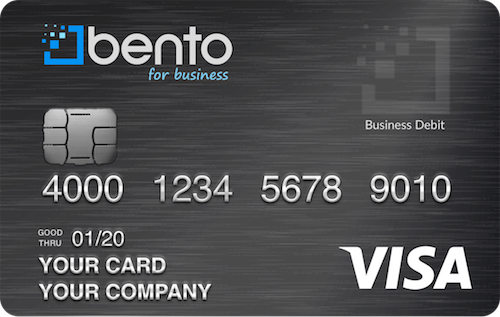 For example, the Bento for Business Visa debit card has earned excellent reviews from its users and has been featured in national publications. Bento is rated as five out of five on Capterra and has an A-plus rating on the Better Business Bureau. Bento for Business is focused on offering businesses the expense control solutions that they need. Businesses can try out the business Visa debit cards for free for 60 days to see if they will work for their companies. 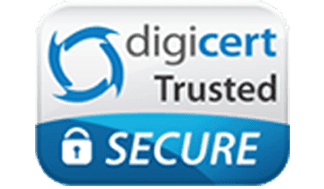 The company uses strong security such as 256-bit SSL encryption technology to protect your information and your money. To learn more, call 866.220.8455.